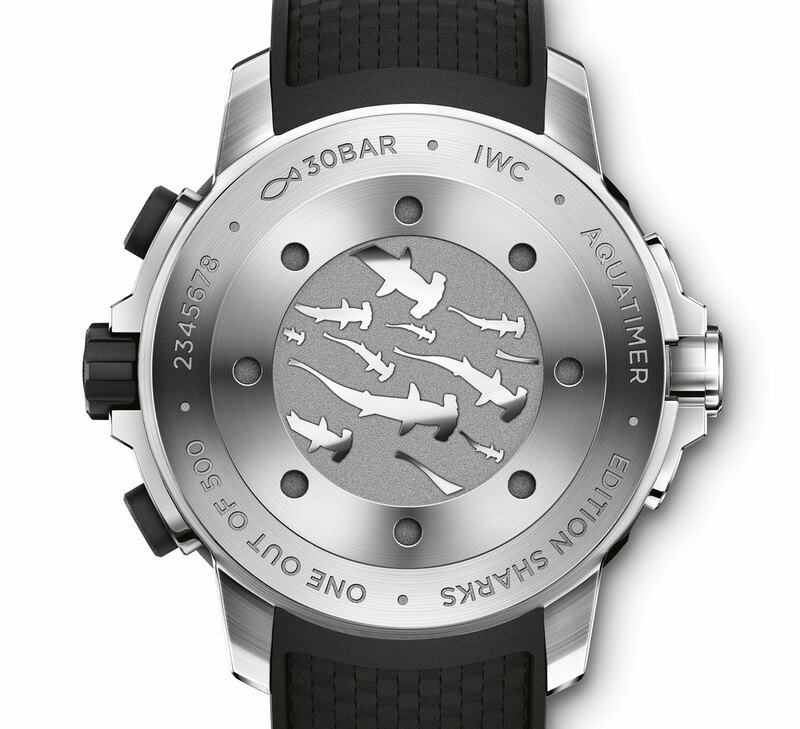 A limited edition to help save the marine predator. The latest in a series of watches conceived to support conservation, the Aquatimer Chronograph Edition “Sharks” is a monochromatic take on the IWC diver’s stopwatch. The dial is several shades of grey with a metallic finish, while the 44mm case is stainless steel. Rated to 300m, the case features IWC’s elaborate SafeDive bezel, which is an inner rotating elapsed time bezel operated by an outer bezel, connected by gears hidden underneath the steel cap on the case at nine o’clock. Hammerhead shark silhouettes are cast in relief on the back, which hides the cal. 89365 inside. It’s an in-house, automatic movement with a flyback function and 68-hour power reserve. The Aquatimer “Sharks” is packaged with a limited edition coffee table book appropriately titled Sharks. Containing images of sharks captured by Michael Muller, the book is signed by Muller and packaged in a metal cage inspired by those used to protect photographers against sharks. 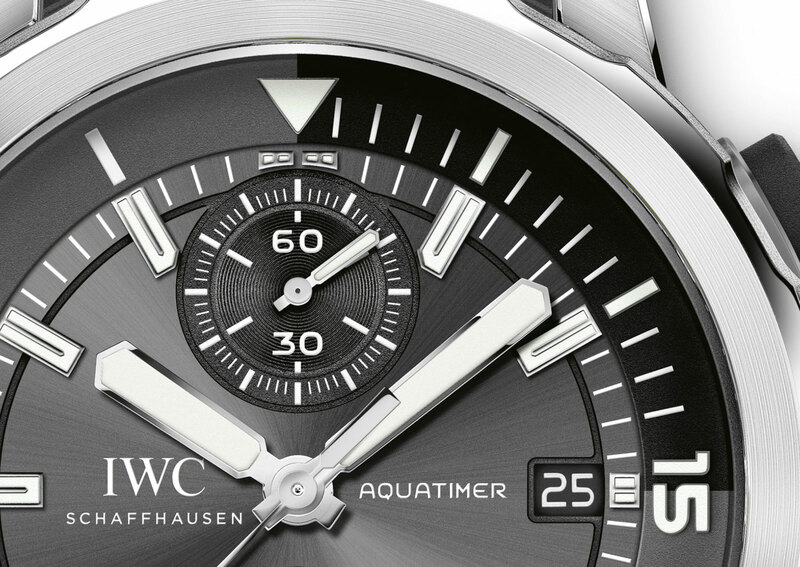 Limited to 500 watches, the Aquatimer Chronograph Edition “Sharks” (ref. IW379506) is priced at US$12,200 or S$17,400. 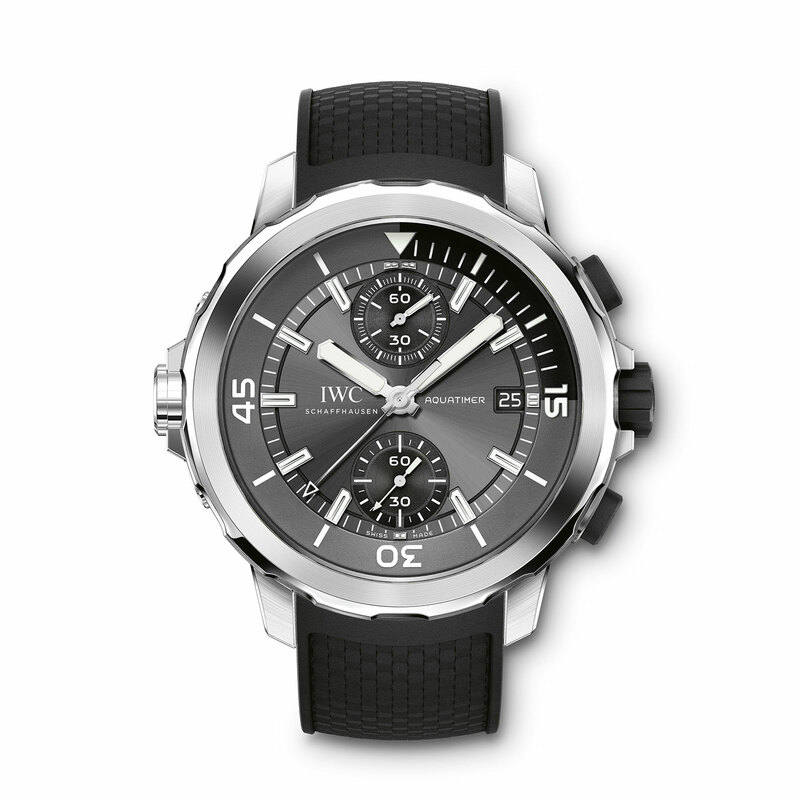 It is available at IWC boutiques and retailers.